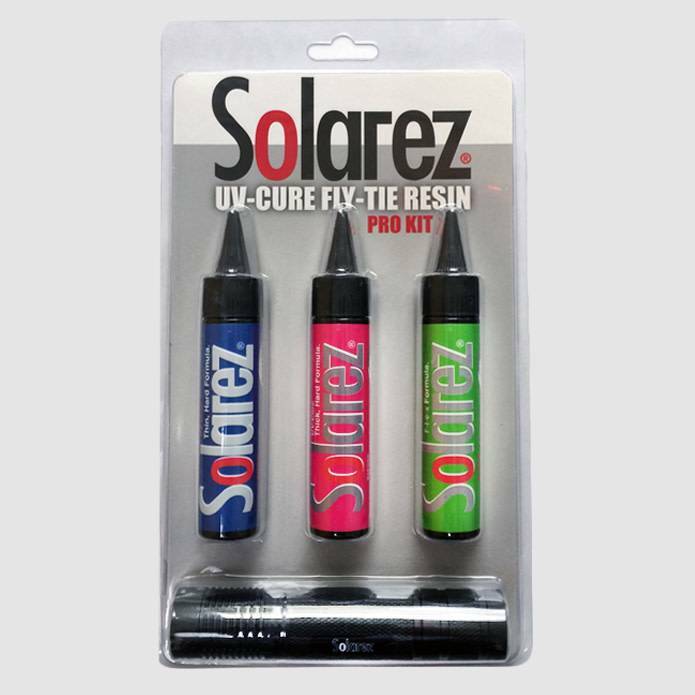 All three Solarez fly-tie UV resins; Thin-Hard, Thick-Hard, & FLEX formulas. 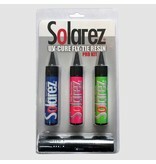 Each comes in a 1 oz bottle with cone-cap applicator tip – ample for many lures. 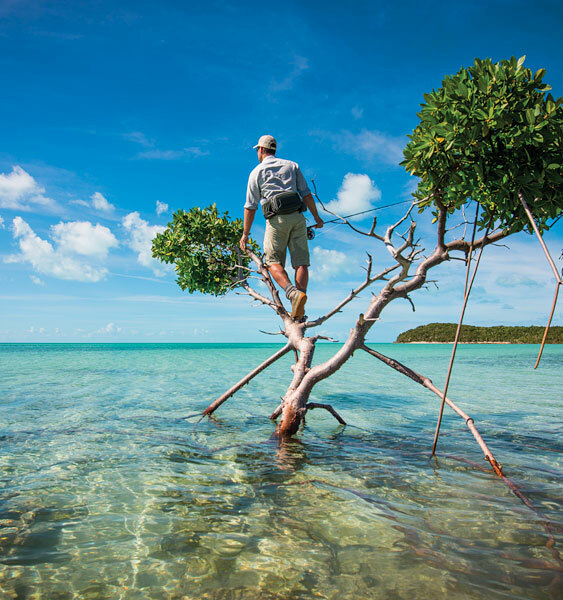 Also included is a UV-Cure High Output flashlight with optimal wavelength. Pro Roadie - a very good, powerful torch in it. Roadie - a small but powerful flashlight.